The history of Jungpana tea estate invariably starts with the plantation initiative of Mr. Henry Montgomery Lennox. The baton of managing this Darjeeling tea garden then passed on to another named Mr. G. W. O’Brien. The aftermath of the second world war forced Mr. G. W. O’Brien to sell Jungpana Tea Estate to then ruling Rana of Nepal. The independent India again saw the change of guard at the tea estate with the Kejriwal family taking over somewhere around 1956, and which, still continues to be under their expertise and foresightedness towards the continuance of producing the best Darjeeling teas. Jungpana Tea Estate is located in one of the most difficult terrains in the Darjeeling hills which is connected only through snaking road accessible only on foot. A good 350plus steep steps and onto the wooden foot bridge across the river Changey Khola (rivulet/stream) in local language, leads to the garden factory. This south facing tea estate of the Darjeeling hills is located at a distance of 10 to 12 kilometers south from the town of Kurseong. This tea estate is surrounded by Goomtee Tea Estate, & Sivitar Tea Estate in the west, and Mahalderm Tea Estate in the North. 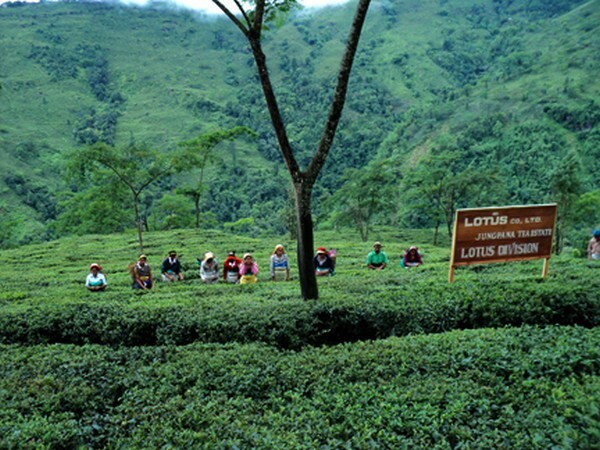 The elevation of the tea estate ranges roughly between 1000meters to as high as 1500meters from the sea level. Dist: Darjeeling – 734223. India. Jungapana Tea Estate is certified by HACCP and also by JAS. Jungpana is popular globally for its Muscatel variety of Darjeeling teas. The produce from the tea estate of this particular flush is taken readily by all tea lovers both domestically and abroad. Apart from this second flush specialization, Jungpana tea estate also produces wide varieties of Darjeeling teas in the form of black, green, yellow, white and some exclusive oolongs from first flush and autumn flush harvest. Please take a look at the teas below if the tea from this garden happened to make it to our select list.